Seriously you can’t make this stuff up. I warned people last year when so many where calling for a crash in September or October that the fall ICL came in August. That meant the market would be strong through the fall. That there would be no crashes. Few listened to me, but that’s exactly what happened. 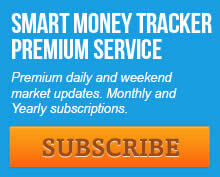 The market was incredibly strong all the way through fall and into January before correcting. Once the correction came the usual band of perma bears again started calling the top. As we know they were wrong again as they have been for the entire duration of this secular bull market. Now they’re starting again. Gartman is ready to short stocks. Folks we are on week 1 of a new intermediate cycle. Even if this was a bear market rally (which it’s almost certainly not) the rally wouldn’t top in only 7 days. Bear market rallies have to build bullish sentiment so institutions can unload stock to retail traders before they roll over. That usually takes at least 6-8 weeks. As you can see we aren’t even remotely close to having generated any bullish sentiment yet with the dumb money traders. Folks you have to quit listening to these analysts and perma bears that clearly have no idea how markets work. 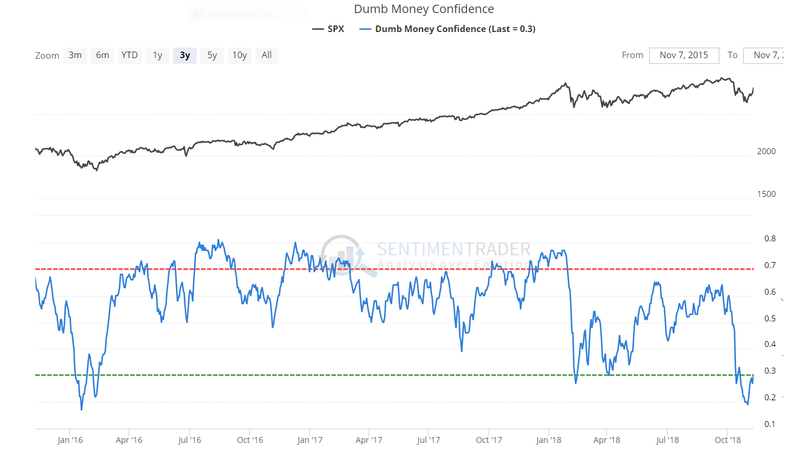 Wait till dumb money cycles back up to bullish sentiment before you start selling, and selling short is extremely difficult in a bull market. If we are about to start the melt up phase of this bull, listening to perma bears right now could cost you dearly. I tried to warn traders not to short the metals during the baby bull. Many failed to heed my warnings and many lost everything. Trying to short the melt up phase in the stock market is likely to produce the same result. Massive losses and you will miss a once in a decade opportunity. Remember the biggest gains come at the very beginning of a bull market (the baby bull), and at the very end of a bull market, once everyone finally becomes convinced the bull is for real and mom and pop investors start throwing everything they have at the market (like we saw last year during the bitcoin bubble). But whatever you do, don’t try to short the advancing phase of a new intermediate cycle that’s only on week 1. That’s just outright insane! This entry was posted in Uncategorized on November 8, 2018 by Gary.